John James Crowe VC of the Worcestershire Regiment. 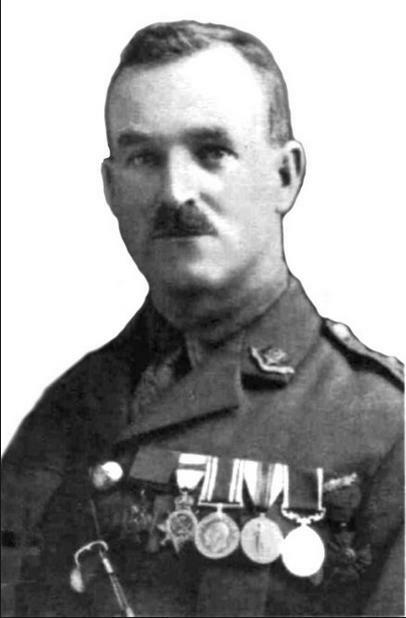 In late June 1918, a little over a week after a meeting of Brighton Council at which the posthumous award of the Victoria Cross to Ernest Beal was commemorated, the local press reported the award of a second VC for Brighton. The recipient, also a Second Lieutenant, was John James Crowe of the Worcestershire Regiment. Although born in Devonport, his home was in Brighton, at Dudley House, Dudley Road, to which address he and his family had moved in 1916. Crowe’s award was announced in the London Gazette of 28 June. The citation is attached below as a Word document. Father-of-four Crowe was the eldest son of a soldier whose regiment (the 36th) became the 2nd Battalion Worcestershire Regiment. John followed in his father’s footsteps by joining the Army on 1 July 1897 and quickly rose through the ranks. At the outbreak of the First World War he was Regimental Quartermaster Sergeant in his father’s old battalion and landed with it in France on 15 August 1914. Throughout the conflict he was frequently in the thick of the fighting and although he was twice blown up and once buried, he ended the war unscathed. In 1918 he also served as Acting Regimental Sergeant Major for a short time. On 1 April 1918 he was commissioned in the field as a 2nd Lieutenant, continued to serve with the 2nd Battalion and was appointed Adjutant. It was just two weeks later, on 14 April 1918, that he was awarded the Victoria Cross. On 26 May (London Gazette date) he was given the rank of Acting Captain; three days after the Armistice he was promoted to Captain. From 1960 until his death in 1965 at the age of 88 he was the president of the Woodingdean Happy Circle Old People’s Club. After his death, the Club provided a seat in his memory to be put in the entrance hall of Woodingdean Community Centre. Mr. Edwin Billington, Chairman of the Club, who unveiled the seat in the Centre’s main hall, said he was ‘quite overwhelmed by this wonderful gift.’ Captain Crowe’s family, including his daughter, Mrs Anne Murray of Rottingdean, were specially invited to the unveiling. This must assuredly be who we knew as Capt Crowe, School Attendance Officer who was very prominent in the Moulsecoomb area during and after the WW11 years. He purchased the orchard that was originally owned by a Bates family and which was situated adjacent to the school area at Mouslecoomb, the other side of Moulsecoomb Way. Without knowing his past, he was a much respected, almost feared man but the lure of the orchard was stronger than the regard held for his person! Somewhere in the depth of these pages, the Moulsecoomb set, I have related how, as a apple scrumper, several of us eluded Capt Crowe when it became obvious he had seen us in his orchard. Everyone knew of Capt Crowe, the dreaded enforcer of attendance who dutifully applied himself to those who were inclined to play truant. Happy hunting for those interested . . . ! My name is Doreen Pannett. I am the granddaughter of John James Crowe. Thank you to Ron Spicer for his contribution about the orchard, which I found very interesting. We didn’t know that grandfather had an orchard! If anyone else knew of my grandfather, or has any more contributions to make, I would be very pleased to hear them. Hi, I am the son in law to a member of the Crowe family formerly from Plymouth like your grandfather and wonder if they are related. My grandmother, I think, was possibly a cousin of John Crowe. My grandmother Florence Georgina Ball was born in Devonport. Turpin was a family name.